Serene and chaotic, elegant and awkward, simple and intricate, the dual identities complement one another to create a musical world that is a reflection of the (slightly larger) physical universe. "Sundial Lotus" is the stunning debut album from this ensemble whose original writing thoroughly blurs the lines between jazz, new music, and rock. The ensemble consists of members of the Respect Sextet, Jerseyband, and Little Women, and the seven pieces give a performance that manages to be visceral and polished at the same time, while lending their own individual sounds to the beautiful, wild, and unpredictable compositions of Ben Gallina. "... Full of unpredictable energy, cadenced affinity and cross-genre influences, [Sundial Lotus] wriggles out of one confine after another, creating small snippets of friction and long passages of intrigue. "The Sky is an Eye" ... begins as a down-tempo ballad before giving way to an adrenalin rush that sets the stage for what is to come. "Metamorphistopheles" is something of a history of music in less than four minutes, with stride, ragtime, baroque and rock, and the tune pulls it off with a great sense of fun. 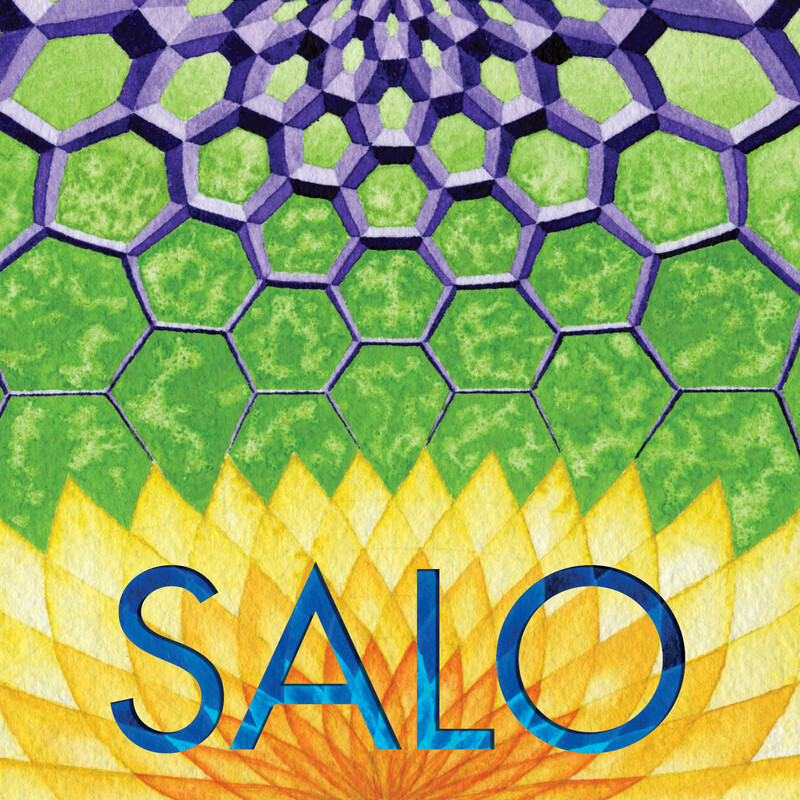 Salo incorporates something of the unique approach of Darcy James Argue's Secret Society, and a touch of The Sun Ra Arkestra, all while keeping within the more identifiable jazz idiom. It's very modern and very good music." Bassist Ben Gallina is the leader and composer for a band that generates an air of excitement while abiding by a slightly nouveau modus operandi. Hailing from New York, the musicians often spark a little big band sound via thrusting horns charts and a radiant disposition. Gallina’s comps are largely devised with memorable hooks. And the octet seamlessly incorporates complex unison arrangements with rock, jazz-fusion and modern mainstream jazz amid several nicely-constructed detours. There are lots of moving parts. Yet, the band’s broad scope and energized approach is framed on the bassist’s strong material and acute vision ... The band’s poly-directional mode of execution is highlighted on the title track “Sundial Lotus.” Here, the ensemble renders stately choruses atop ominous overtones during the bridge and emphasizes that all instrumentalists are vital cogs in the proverbial wheel. Moreover, keyboardist Red Wierenga’s beefy Fender Rhodes voicings accentuate and underscore the unit’s energized gait. It’s a first-class endeavor and an album that looms as an unanticipated surprise for 2010. "… smart tunes with great ensemble writing that move quickly between various themes and rhythms. The written transitions in and out of solos are consistently impressive. "Metamorphistopheles" is a fun and funny mash-up of styles with an odd old-timey breakdown, some gutbucket blues, and something that should have been used as a march in a classic Disney animation. Gallina favors tricky rhythms in his compositions, and drummer Alex Wyatt not only negotiates them, he seems to thrive on them. Sundial Lotus is a great album and a very impressive debut." With the combination of jazz and rock instruments and the catchy, pop-ish but sophisticated songwriting of Gallina, the band straddles nearly perfectly the worlds of indie rock and jazz. Sundial Lotus is a very impressive debut by a band delivering fusion that is not by the numbers and done with democracy and tight ensemble playing. "Sundial Lotus [is] cinematic in scope, making quick turns with a willingness to indulge in marches and psychedelia, most notably on the remarkably swirling 'Metamorphistopheles.'"